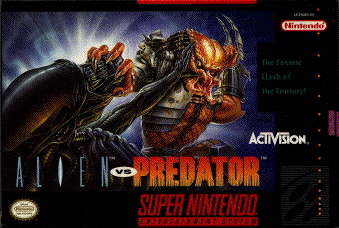 Alien vs/ Predator for Super Nintendo allows you to play as the Predator as you explore Vega 4 to hunt humans. However, Aliens have interfered in your way and try to destroy you as well. Battle against Alien drones and warriors as you try to defeat the Alien Queen. Use your Predator technology and skills in order to fight and succeed.